If you have ever been to my house, you know that I like candles. Candles of all sizes and colours. I think I have at least one in every single room of my home. They just seem to add so much to the decor. So today, I decided to jazz up one of my votive holders. 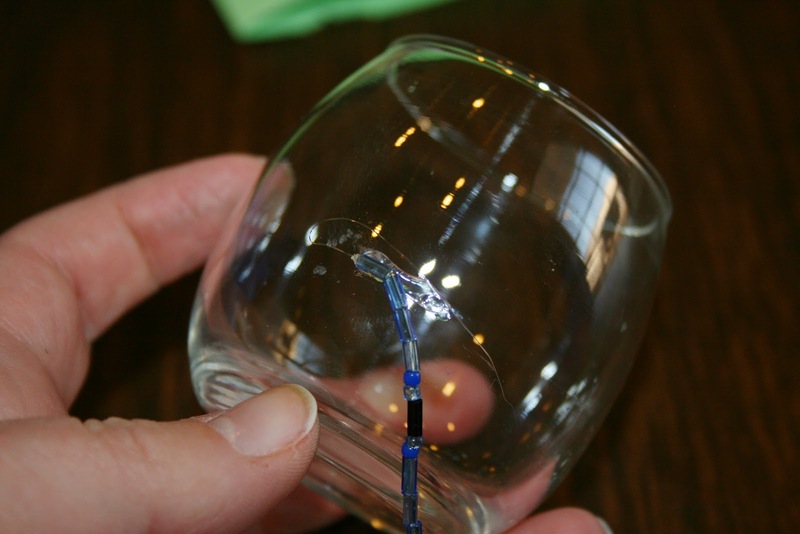 It was just a plain glass votive holder...which is perfectly fine and definitely has it's place. But I wanted something with a little bit of bling. All you need is a glass votive holder, Stretch Magic String, beads, and hot glue. Simple supplies; simple project. First, string beads on a looooooooong strip of the Stretch Magic String. I made sure mine wrapped around my votive holder several times. Then tie it off with a knot on either end of the beads to secure it. Now you are ready to glue it on. 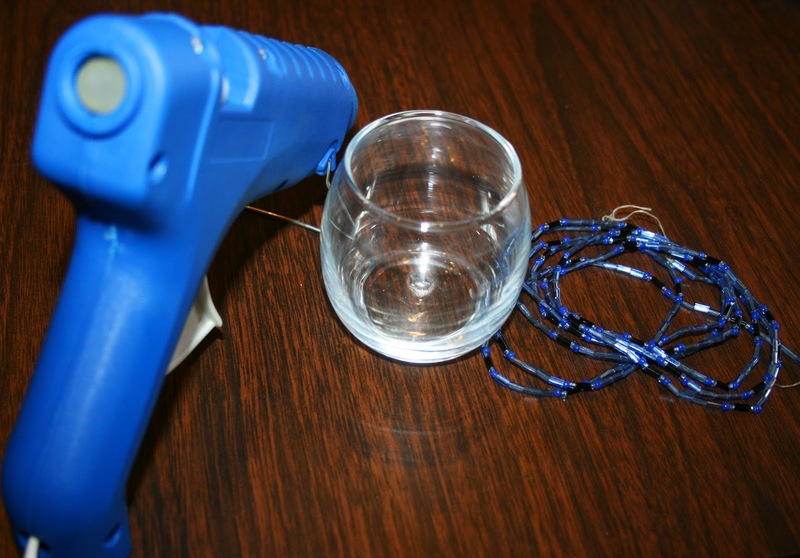 Place a thin line of glue onto the glass, and attach one end of the beaded string. Continue wrapping the beads around the candle holder, periodically placing thin lines of glue to keep the beads from moving around. 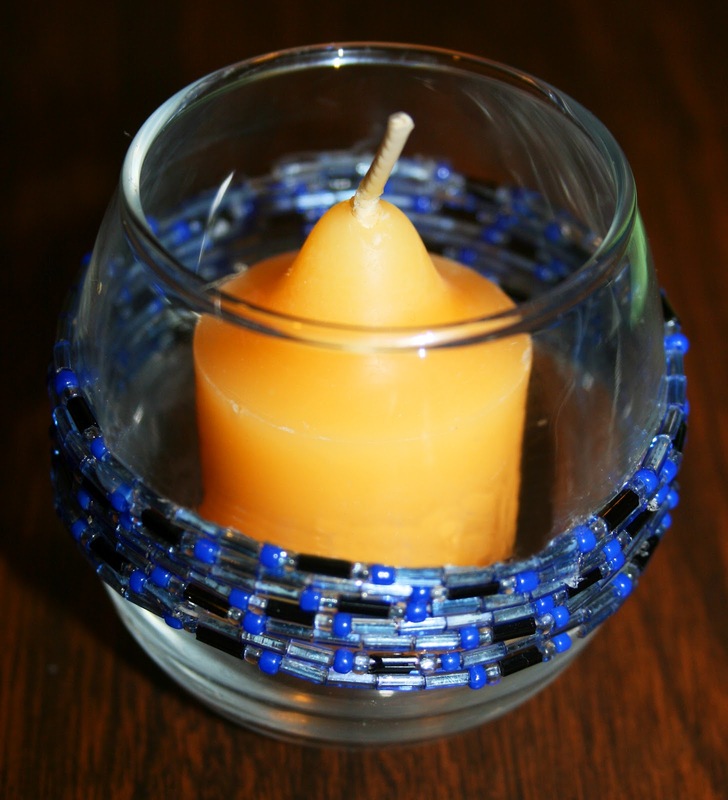 Once it's dry, add a votive candle and enjoy! I think that next time I will make an even looooooonger strand of beads so I can go around the entire votive holder. But I still like how this one turned out! This is very cute. Why didn't I think of that? !